The first half of 2018 has been a strong year for used vehicle values, and a growth in upstream remarketing is playing a helpful role. There were various factors that were leading analysts to predict that used vehicle values would suffer in 2018, however, one of the largest factors was an expected off-lease tidal wave that would bring a surge in supply of three-year-old vehicles. The first half of that tidal wave has hit the used-vehicle market as we pass the halfway point of the year, and surprisingly, the market has been able to absorb the extra supply pretty well. Tom Kontos, chief economist for KAR Auction Services, believes that upstream remarketing has played a large part in that. "We were really thinking there would be more impact due to supply growth this year," said Kontos. "The remarketing industry itself has done a really good job of spreading the volume into various channels. Cars that used to end up at auctions are being sold upstream at the grounding dealers. Off-lease units don’t make it to auction, they get sold right at the turning point." A rising trend of upstream remarketing, he added, diffuses some of the impact of supply growth, as instead of auctions being oversupplied with certain units, the extra supply is spread out over multiple channels. 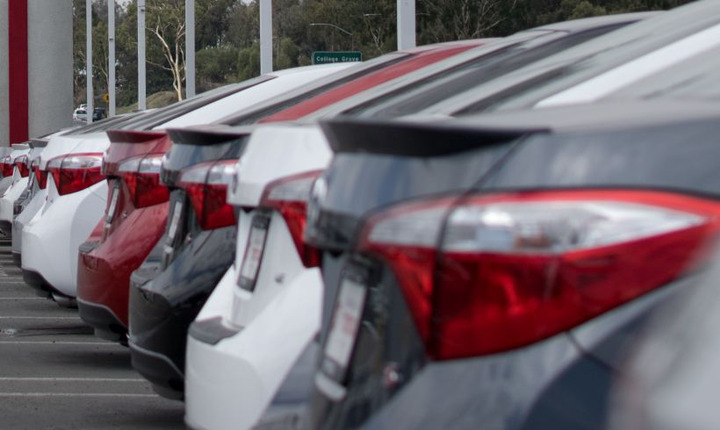 He expects a continued increase in upstream remarketing, which is good news for used-vehicle values, as there will be even more off-lease units returning to market in the next two years. Depreciation through the first half of the year stands at 13.7%, on a year-over-year basis, a figure much lower than was seen in the same time in 2017. Through the same period in 2017, the overall depreciation rate was 16.3%, according to Black Book data, meaning that used vehicle values are performing about 3% better this year than they were in the same time last year. This has been a surprising fact, as analysts at the end of 2017 projected that depreciation would be higher in 2018, noted Anil Goyal, executive vice president of operations for Black Book. Goyal agrees that growth in upstream remarketing has helped used vehicle values this year, however, he also noted that there is another business segment that has also helped used vehicle values, and will continue to do so as the business segment itself continues to grow, and that is the ride-sharing business. Used vehicles make ideal vehicles for drivers in the ride-sharing environment due to their lower acquisition costs and availability, he noted. As the ride-sharing business continues to grow, it’ll be another factor helping used vehicle values stay in line as supply continues to grow, as more drivers in the business segment will mean more demand for the extra supply.